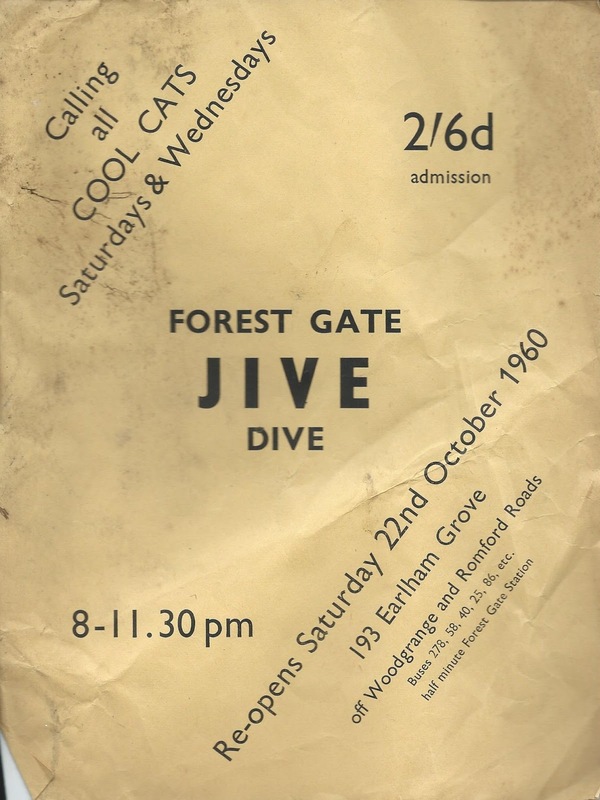 Forest Gate Arts' stalwart, Paul Romane, recently curated an excellent exhibition on the Upper Cut club, fifty years after its brief sojourn in Forest Gate, as part of the second council Heritage Week programme. 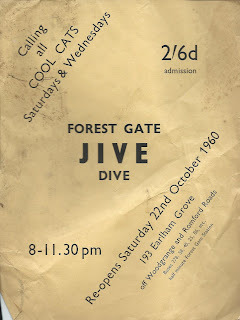 The exhibition was held in the temporary headquarters of Forest Gate Arts, in Upton Lane, and this post is an on-line record of the fine show. 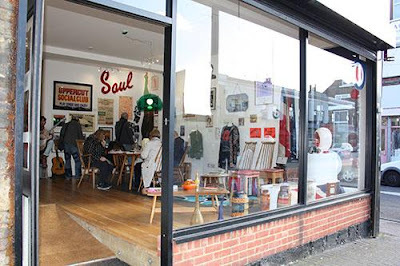 Paul, a long time devotee of the club, and in particular some of the Soul acts that played there, had spent a great deal of energy drawing together exhibits for the week-long show. from the era and on display in the exhibition. Paul collected mementos and memorabilia from a wide range of sources - including Small Faces roadie and brother of band member Ronnie - Stan Lane, and this website, together with many of his own souvenirs, to provide a fascinating, evocative and inspiring exhibition. 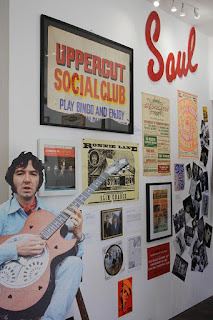 Left one of the display boards in the exhibition showing adverts for the gigs appearing at the Upper Cut (loaned by this website). Right, some modern posters in 60's psychedelic style by Forest Gate artist, and sister of modern singer, Plan B, Lauren Drew. This post is being published to mark the 50th anniversary of the closure of the club - to make way for a bingo hall - in the last week of 1967. The artifacts embraced in many of the photos here are reproduced for the first time on this site, and add to the considerable collection already here. See below for details of other blog articles on the club. 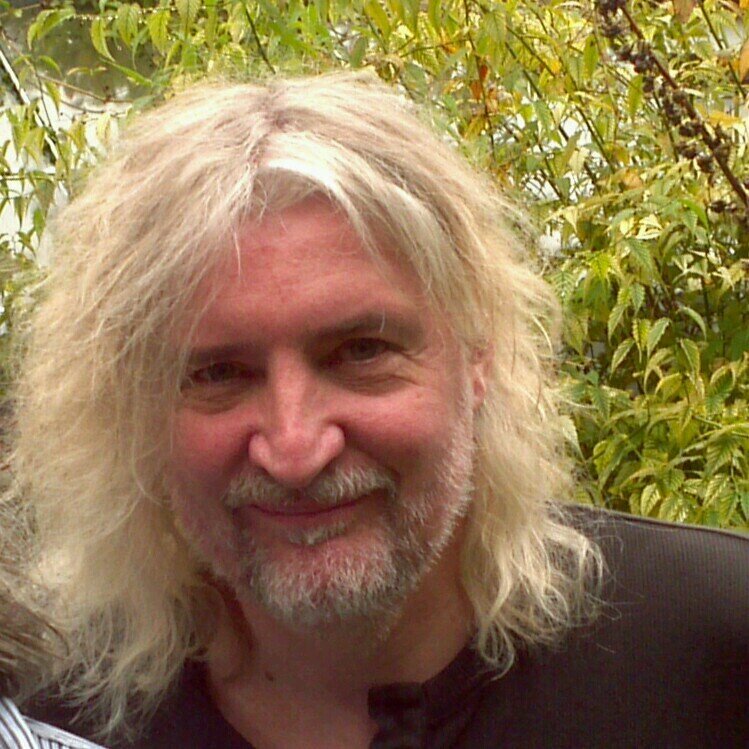 Paul is a Newham boy; born in Plaistow in 1960, he has spent his whole life - bar the decade of the 1970's - in the borough. He moved to Forest Gate in 1981 and has developed a fascination with the briefly existing Upper Cut Club ever since. Such is his love for the music it featured, that he named his only son Otis after one of the venue's greatest performers. He has spent most of his working life in and around the arts, as a singer, musician, video maker, recording studio owner, poet and local music archivist. We have written extensively about the club, which lasted for only a year - from December 1966 until New Year's Eve the following year. (see footnote for details of previous articles ). by Walker Brothers, Billy and George. 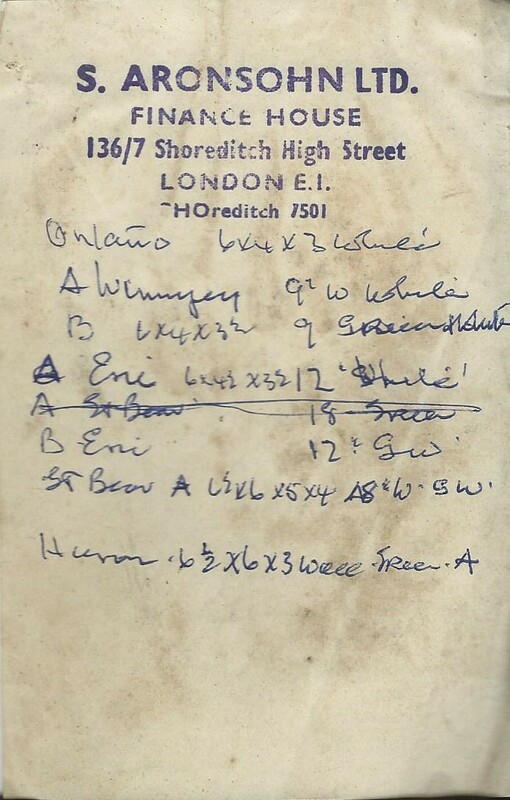 The Upper Cut was located in a building on land next to Percy Ingle's, on Woodgrange Road. The building was originally opened in 1902 as Forest Gate Public Hall, and served a variety of roles over the next century - hosting a theatre, cinema, skating rink, the Upper Cut Club (briefly), a bingo hall, The Ace of Clubs club, and an electrical warehouse, until its demolition, in the early years of this century, to make way for a ventilation shaft for the Eurotunnel rail link, which remains today. Left - adverts for gigs at Upper Cut club, right - coverage of the club - all from the New Musical Express, at the time. The location was awarded a plaque by Newham Council five or six years ago, in recognition of the fact that it was there that Jimi Hendrix wrote and first performed Purple Haze - widely regarded as being one of the greatest rock numbers of all time - on Boxing Day 1966. The sign has subsequently been removed, as developers Mura have taken over much of the surrounding land. 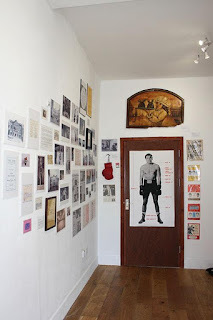 The club was owned and named after British boxer, Billy Walker, seen as a 'glamour' figure at the time of 'Swinging Britain'. Billy was very much the front man for the club, with his brother, George, the brains and businessman behind it. See here for details of Billy's local associations and views on the club, based on a personal interview with this website. 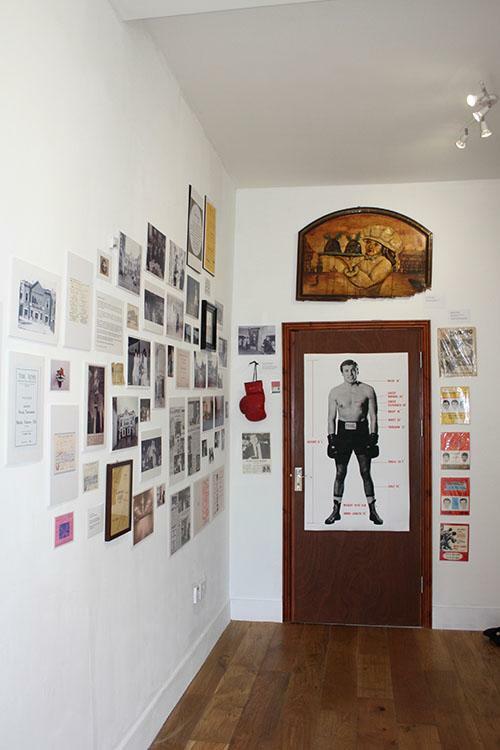 Above, programmes and Boxing magazines featuring Upper Cut owner, Billy Walker's boxing career, and the corner devoted to him in the exhibition. midst of the 'Swinging Sixties' . on the walls of the club. Although the club was opened for just one year, it attracted almost all the prominent UK bands of the day (excluding, notably, the Beatles) and some American black acts who were struggling to get recognition at home. Most notable among them was Jimi Hendrix, who appeared at the club twice. Possibly the biggest night in the club's short life was on 18 March 1967, when the so called Stax tour appeared. They performed one of their four UK gigs at the club, as part of a European tour. The star of the show was Otis Redding - who was dead months later following a plane crash. He was supported on the bill by Sam and Dave, The Mar-Keys, Booker T and the MG's, Arthur Conley and Eddie Floyd. One of the biggest UK acts to perform at the club was local band, The Small Faces. The lead, Steve Marriott, was brought up in Manor Park, while bass guitarist, Ronnie Lane, spent his youth in Forest Gate's Romford Road. See here for this site's biography of Ronnie. 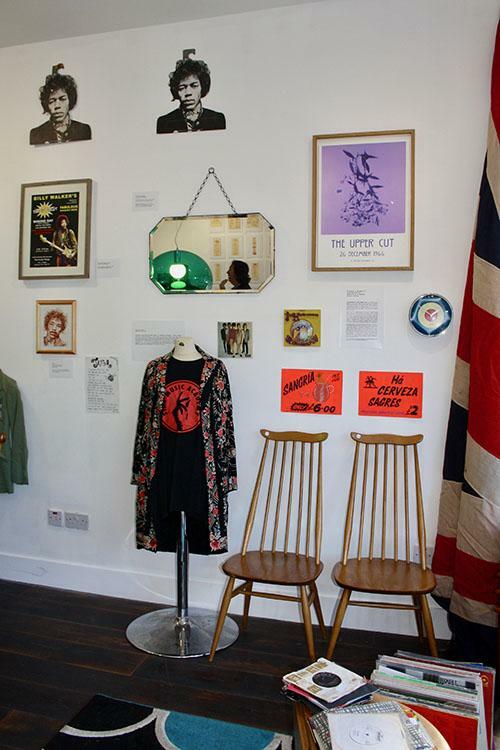 Left - one of Ronnie's jackets, right the label inside from 60's famed 'pop culture' retailer, King's Road's 'Granny Takes a Trip' - loaned to the exhibition by Stan Lane. Below - one of Ronnie's "country jackets", as Stan calls them. Paul was able to track down Stan Lane, Ronnie's brother, who was for a while the band's roadie. He now lives in Essex and has a considerable collection of Ronnie's possessions and artefacts. 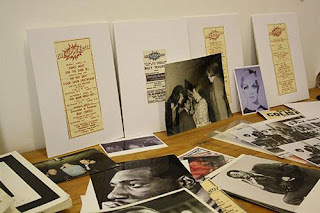 He kindly lent some of these to Paul, and they formed a central part of the exhibition. 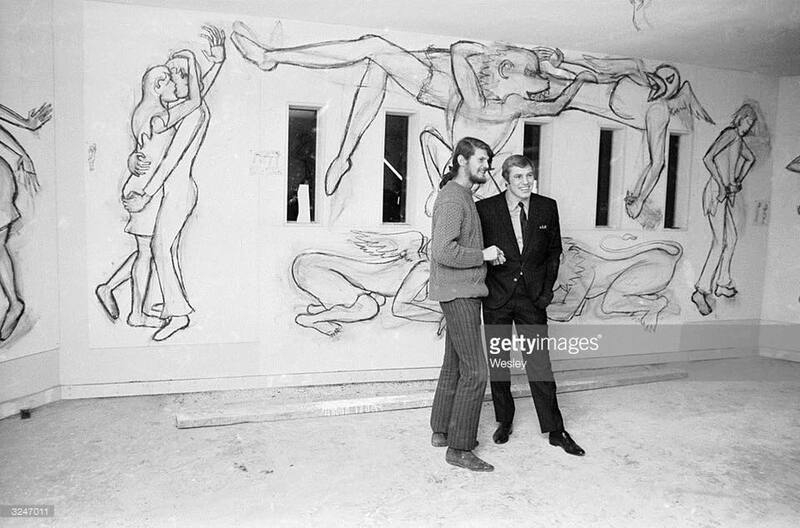 It is a great pity that at the end of the carefully curated exhibition, its contents had to be returned to their original owners, as there is no location on which to house a longer show in Newham - the borough being one of only seven in London without its own museum. Newham has a very rich musical heritage - particularly at the popular end of the spectrum. Other venues in Forest Gate alone worthy of public exhibition and recognition include: the Lotus Club (see here for details), The Princess Alice, as host to the first Rock against Racism (see here), The Tonic Sol-Fa college in Earlham Grove (see here). Beyond these narrow geographic boundaries is Canning Town's former Bridge House (see here) and pubs such as the Ruskin Arms in Manor Park (another venues for the Small Faces), Stratford's former Two Puddings pub (along with the Forest Gate's Jive Dive, home to perhaps Britain's first disco), Maryland's Cart and Horses (home, as the poster outside proclaims, of Iron Maiden) and Stratford Angel Lane's Railway Tavern (home of a sixties blues club). 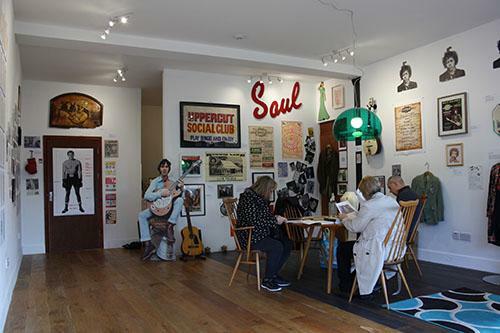 In addition to the Small Faces band members, other prominent musical performers with significant Newham connections include: Dame Vera Lynn, Lonnie Donegan, Joe Brown, David Essex, Forest Gate's Plan B (Ben Drew), and a very lively current Grime scene. Future shows and dedicated exhibition space devoted to the rich history and locations outlined above would make a significant statement about Newham's pride in its musical heritage. But will the council be prepared to recognise this and facilitate the celebration? To Paul Romane for curating the exhibition and to Sophie Rigg from Forest Gate Arts for allowing us to use some of her photos of it.